Liner colors can be customized free of charge, while any other layer of customization would be an additional $0.25 – 1.00. 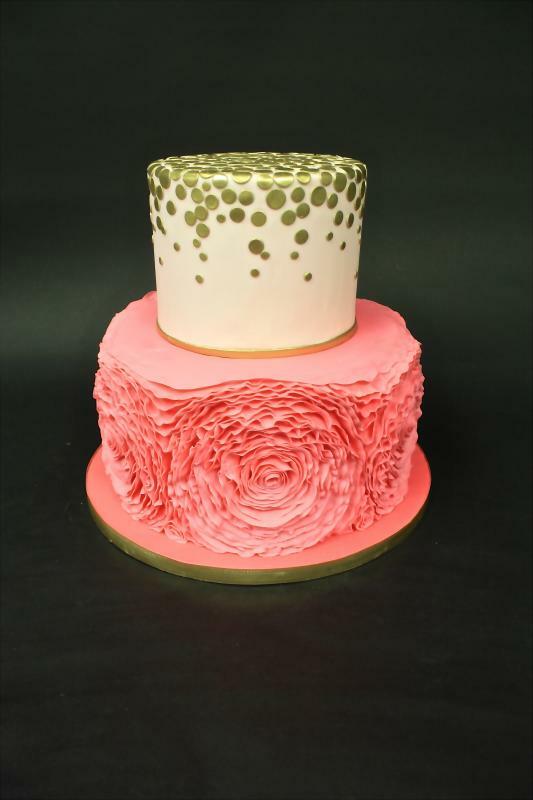 You can choose colored vanilla buttercream to match a color scheme or theme, or add colored pearls or sugar around the edges of the frosting. For edible images or fondant elements, add $3.00 per customization with a dozen minimum orders. Feel free to talk with us for some ideas and different options! We offer traditional flavors such as Vanilla, Red Velvet, Chocolate, Strawberry, Dulce de Leche, as well as our specialty cupcakes such as Vanilla Gourmet , Stout and Pumpkin. We have other flavors, just ask for more information. Is there a minimum number on an order? How much are cupcakes and mini cupcakes? Our mini cupcakes are $2.25 and the regular sized cupcakes are $3.25. You get discount when you buy 1 dozen or more. Customize decorated cupcakes are $ 6.00 with a minimum order of 1 dozen. Do you do smash cakes? Can you customize a celebration cake? Do you do 3D figures and how much do they cost? We can do 2D and 3D figures. The 2D figures are $10 each and start at $15 for 3D. We need 10 business days ahead to make it. Yes. We have layer cakes & signature cakes menu. 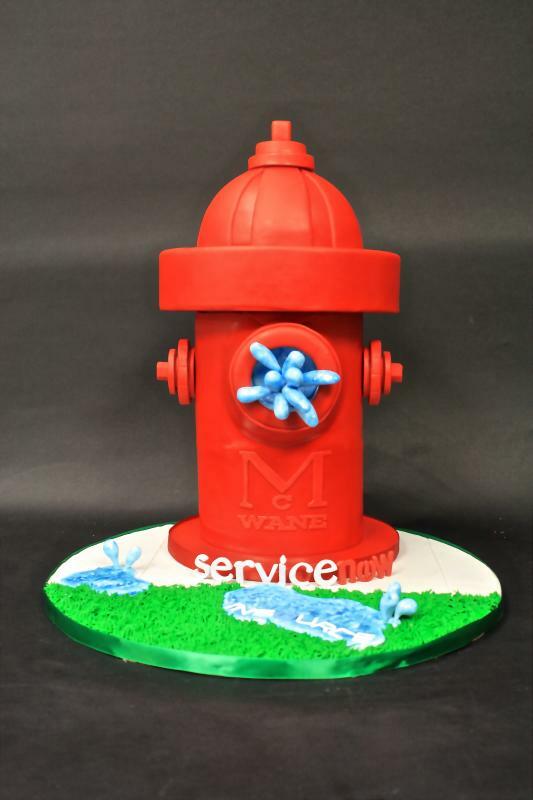 For more customized celebration cakes, feel free to give us a call or stop by our store. Do you do dessert tables? We design style and flavors based of each person’s specific needs. What aspects can you customize? We can coordinate liner colors for our mini desserts which is included in the price. We can also customize different color chocolate for any dessert that is dipped for an additional $0.25. We can also add a colored ribbon to any shot glass dessert for $0.25 or make a shot glass in a mason jar for $4.50. There is a 3-dozen (36) minimum when ordering any of our mini desserts. How much are the mini desserts? Our mini desserts range from $2.00 – $4.00 depending on types and flavors. What kind of mini-desserts do you offer? We offer mini tarts, pies, shot glasses, brownies, cookies and bars. Yes. Delivery charges are based on round-trip mileage of $1/mile and $1.50/mile after 40 miles. What is a dummy tier? A dummy tier is an option commonly used by brides when they want the height of a taller cake. It is made of Styrofoam and commonly used when clients want the height of a bigger cake, but don’t feel the need for all the servings. The price for a dummy tier is $ 6 per serving, based on the number of servings the tier would have had. How big of a cake do I need to feed my guests? Since we price our cakes based on the number of servings, you can adjust the tiers in order to feed your guest. The serving chart for our 6″ cake feeds about 12 people, an 8″ can feed about 24, a 9” feed 32 people and a 10″ cake can feed about 38. We offer a lot of delicious flavors! Our “from scratch” cakes start as simple as vanilla to Chai spice tea with a variety of fillings and frostings. Refer to our menu for more information. 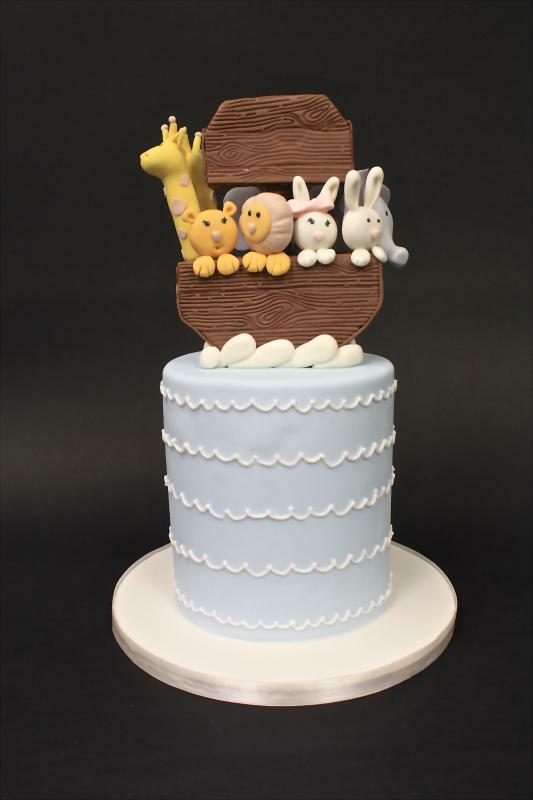 We price our cakes based on the number of servings and the complexity in design. The more detail, the more it will be. Buttercream cakes start at $6/serving and fondant starts at $7. Do I need to pay everything up front? Is there a deposit? All orders require a deposit in order to secure our calendar. Weddings require a third of the total price to save the date, while all walk-in/phone/email orders will need to pay in full. April, May, June and September,October November are the busiest wedding months in Birmingham . We suggest contacting us 8-10 months in advanced to guarantee a spot for your event. Otherwise, a 4-6 month notice will be fine. For Decorated Birthday Cakes, we recommend 2-3 weeks in advanced so we have time to make the sugar art. Don’t hesitate to call the week of the event because we might be able to work you in to our schedule. At The Cakerie, we choose quality over quantity which means we are limited in the number of cakes we can take per weekend. Can I make an appointment for tasting? Do you charge for tasting? Our tastings are by appointment only. It is a $25 fee to schedule the appointment and will go toward your deposit if you decide to book with us. Do you sell gift baskets? Yes, we do. Our gift baskets are custom made. All the bake good are baked in our kitchen from scratch. We have different sizes and prices that can accommodate your budget.